The acting classes Nick Viall has reportedly been taking must have paid off, because The Bachelor alum has landed his first major role not on a reality show. More: Wait, could Nick Viall actually be the Bachelor Again? According to Deadline, Viall will be sticking to the network he knows best — he’s set to return to ABC to appear alongside Minnie Driver on the second season of the hit sitcom Speechless. The episode, which is scheduled to air in late November, will be Viall’s official scripted acting debut. 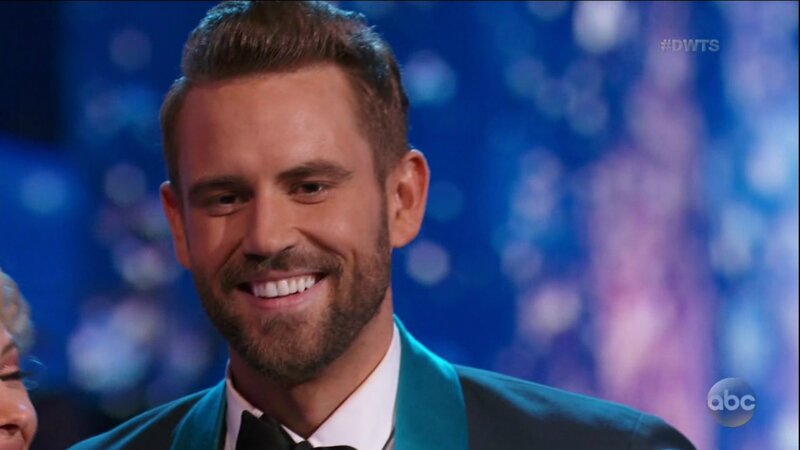 Following his time on The Bachelor Season 21, Viall traded long-stemmed roses for dancing shoes as a contestant on the most recent season of Dancing with the Stars. After he and his dance pro partner Peta Murgatroyd were eliminated in the seventh week, rumors really began to pick up that Viall was interested in pursuing a career on the small screen. In July, Entertainment Weekly reported that a source confirmed Viall was taking classes at an acting studio in LA — the same studio where he is rumored to have taken classes prior to his time as the Bachelor. Although Viall’s guest role on Speechless is not currently reflected on his IMDb profile, the budding actor does list another credit to his name: the role of “Captain” in the TV movie A Christmas Cruise, slated for release this December. It sounds like a happy (working) holiday season is in store for this former reality TV mainstay.